Isn’t that saying the cutest?! I got it from Jamie’s list of 100 Clever Valentine’s Day Sayings and I absolutely adore it! 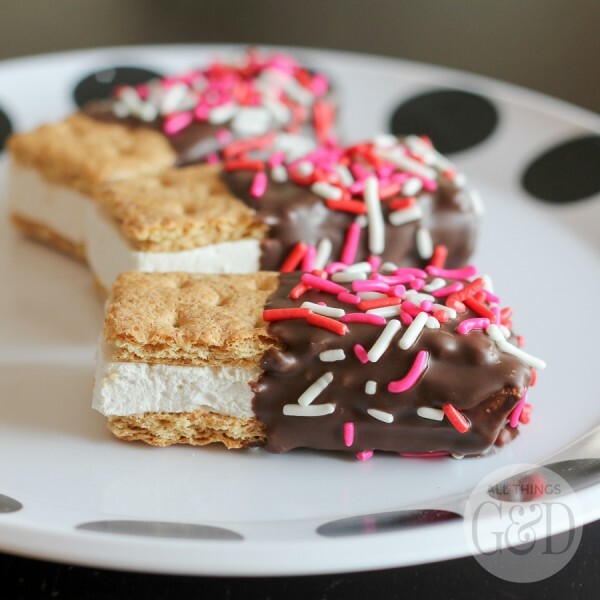 Hop on over to Jamie’s blog, C.R.A.F.T. 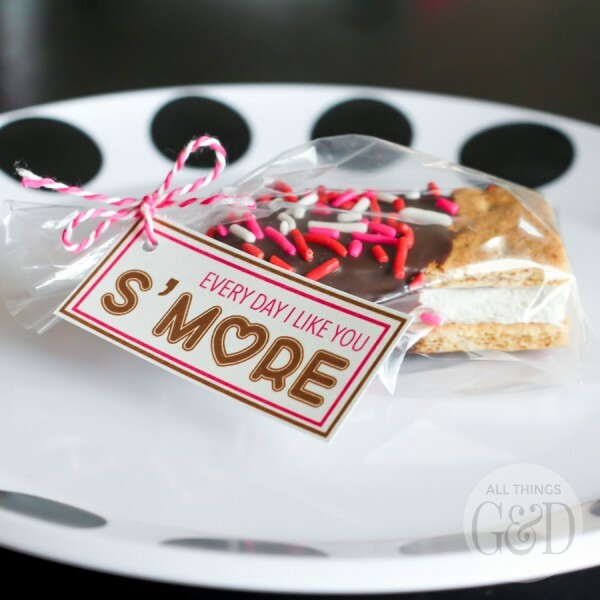 for info on how to make these (including a super easy s’mores alternative) and to download the FREE “Every Day I Like You S’more!” Valentine Printable I designed! 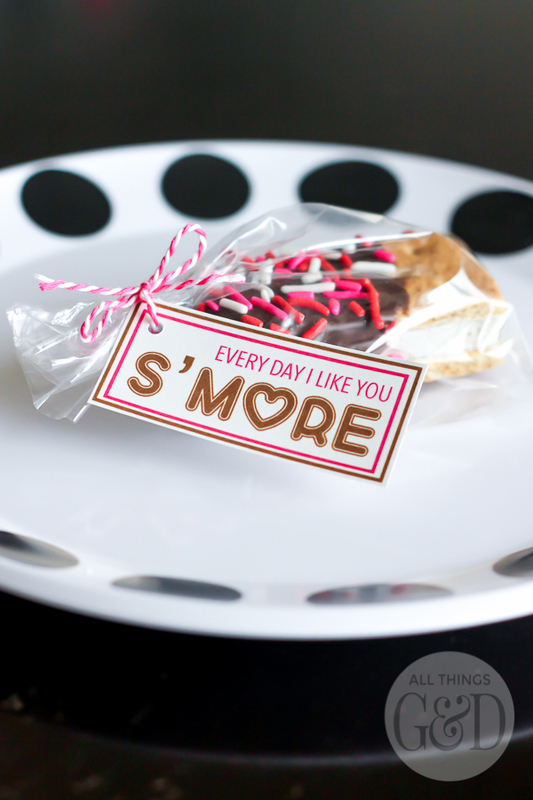 Like this kid-friendly Valentine idea? 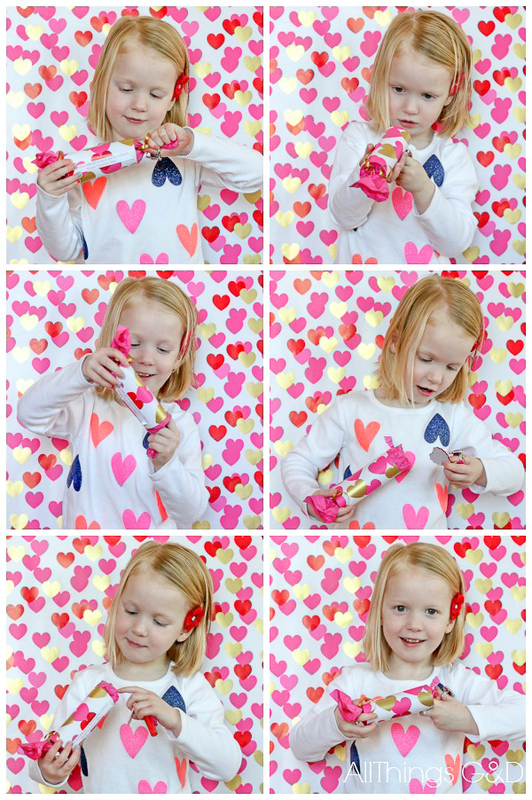 Check out our super fun Valentine Poppers! *The other two things are age-appropriate Valentine greetings and yummy treats.